As the director of the global IoT practice at SAS, Bill is an evangelist for analytics and the IoT – promoting the importance of a robust analytics lifecycle to drive valuable outcomes in IoT initiatives across industries. Bill and his team play an important role in growing SAS relevance and revenue related to IoT. His team works closely with product management and R&D to ensure technology and solutions meet key market needs, while directly supporting marketing and the field sales organization with domain expertise, enablement, and thought leadership activities. 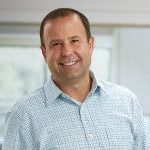 Bill joined SAS in 1996 and has held the Global Client Executive position for DaimlerChrysler, helped establish and lead the SAS Automotive Practice, and contributed to the development and success of SAS Supply Chain solutions across Demand, Quality, and Aftermarket Service. Most recently he lead a global manufacturing practice.